In December 1951 the Caterpillar Company purchased the Trackson Company[abc], and the cable Traxcavators and the HT4, became Caterpillar Traxcavators. In late 1952, the all-new No.6 Caterpillar Shovel was announced by Caterpillar, and cable Traxcavator production ceased. 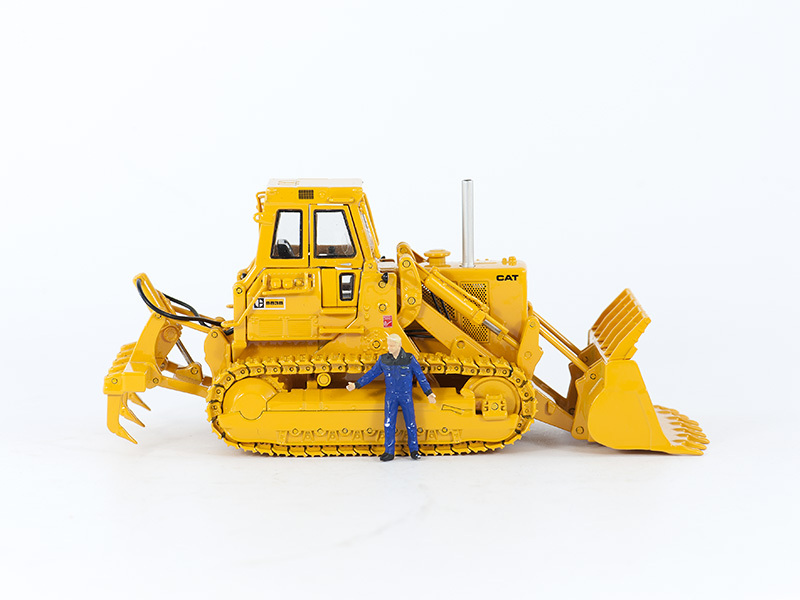 The Caterpillar HT4 and No.6 Shovel were the only hydraulic Traxcavators available from Caterpillar until the all-new 933, 955 and 977 made their appearance in early 1955. The name "Traxcavator" was a registered Caterpillar brand name for many years, but has developed into common usage to describe any tracked shovel/loader. Today Caterpillar builds the most complete line of Track Loaders in the construction equipment industry. Matching Caterpillar Track Loaders to specific applications is easy with several different configurations of Track Loaders built to serve customers worldwide. Increased horsepower, excellent maneuverability, redesigned cab for operator comfort, the revolutionary SystemOne™ undercarriage and the new implement system increase your productivity, drastically reduce your operating costs make the current Caterpillar Medium Track Loaders unsurpassed in versatility. Caterpillar Large Track Loaders have increased horsepower, excellent maneuverability and a redesigned operator cab for operator comfort. The versatility of the Caterpillar Track Loader Waste Handlers makes them well suited for a variety of applications.